With its opening in April 2016, the direction of the tourist office of Gassin wished to start a quality approach. Instruments were set up to know expectations of the visitors, their feelings and list the problems to allow the improvement of the service. 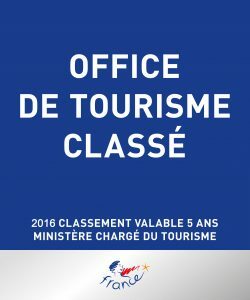 Wishing to improve the indicators created and to fit into the general approach of the tourist offices of France, we joined in 2017 a training cycle with an aim of obtaining the brand Qualité Tourisme. This approach allows the office to get organized with recognized process, guaranteeing a high quality service to the visitors, around key points: warm welcome realisezed by polyglot attentive staff, offer personalized services with clear and precise information in a clean and comfortable place. The objective is to allow the discovery of the destination Gassin, La Plus Belle Vue du Golfe. The brand Qualité Tourisme is a national label created to professionnalize and to value the work of the tourist offices, in order to have the best possible welcome of the tourists and the best possible service for socio-professional and the communities, via in particular the taking into account of the opinions of these various customers. – Graded tourist accomodation, including the name of the establishment, the adress, e-mail, website, telephone, level of ranking.